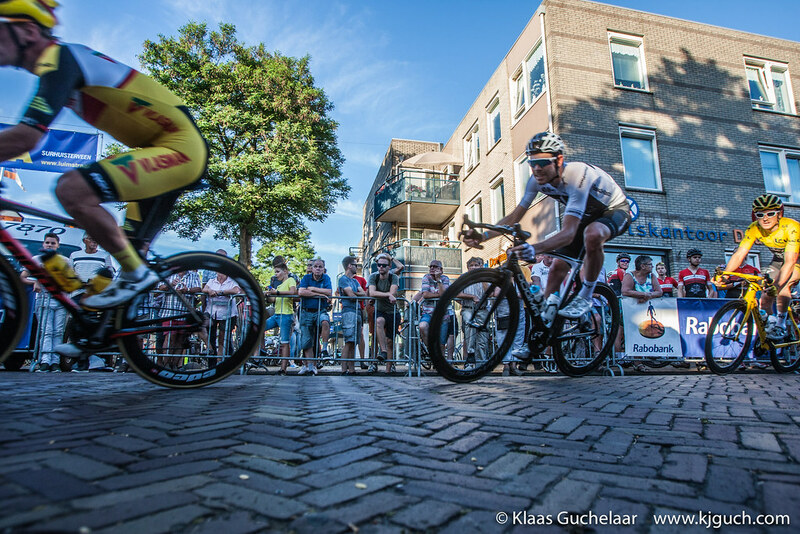 My last visit to the Profronde in Surhuisterveen was in 2016 and at that time they had Chris Froom (annoyingly named a few to many times ‘Frrrrrommieee’ by the announcer) and last year in my absence they had Giro winner Tom Dumoulin. 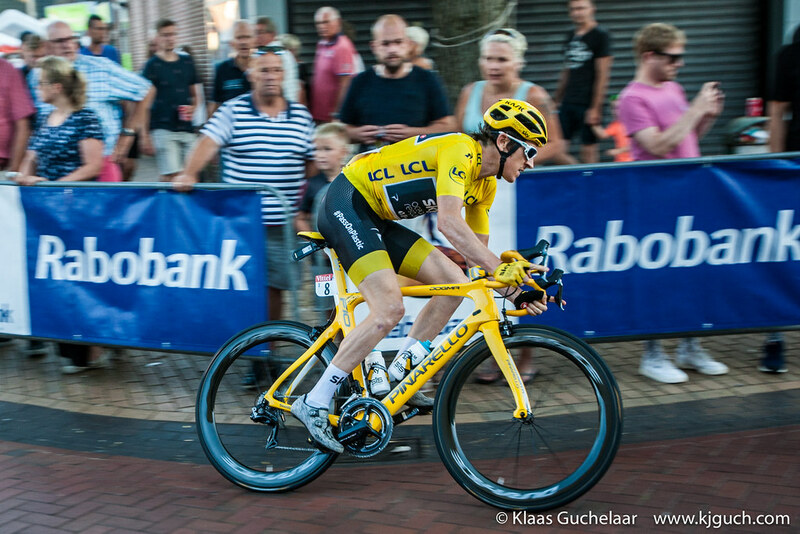 This year the Tour de France numbers one and two attended and Geraint ‘G’ Thomas was especially flown in via Airport Eelde for his one and only crit race here in the Netherlands. This also meant the crowd watching the race this year was bigger then I’ve eve witnessed before. 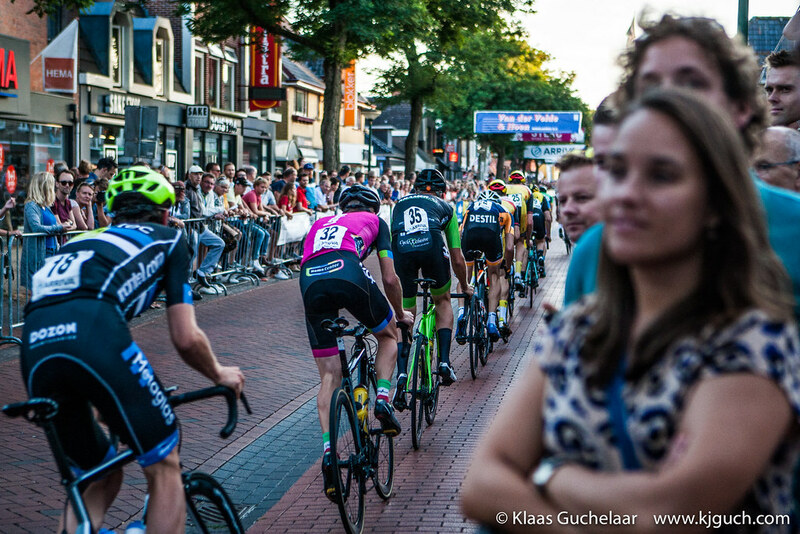 The atmosphere was good, the weather incredible and the line-up was ready to race! After an honor round with Geraint and Tom in the car and the rest behind on bike we finally got the start and they were all off (Geraint and Tom now also on their bikes). 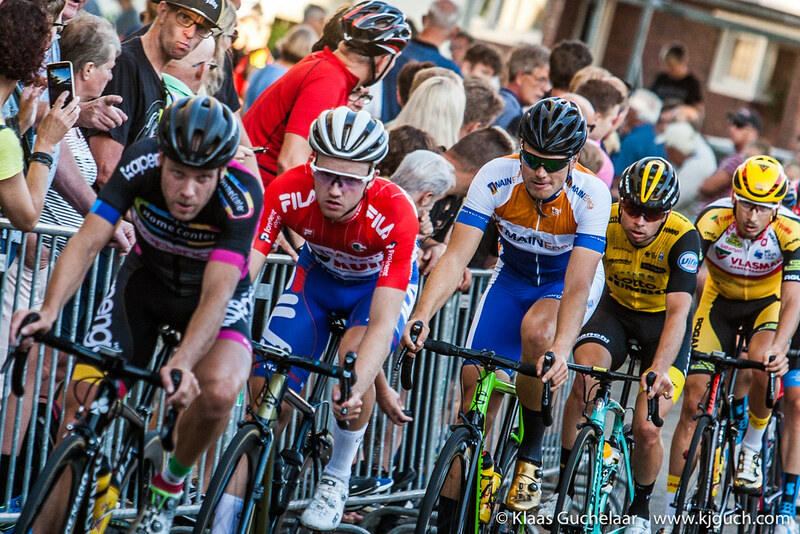 The first few rounds were including the local youth (and possible future Tour de France and Giro winners) and senior riders and once they were led off the track the race finally really got going with the pros and the tempo was increased not by just a little bit. A few rounds in already a small head group was formed but tragically that group went down. Only a few feet from where I was standing a group of five or six men crashed. 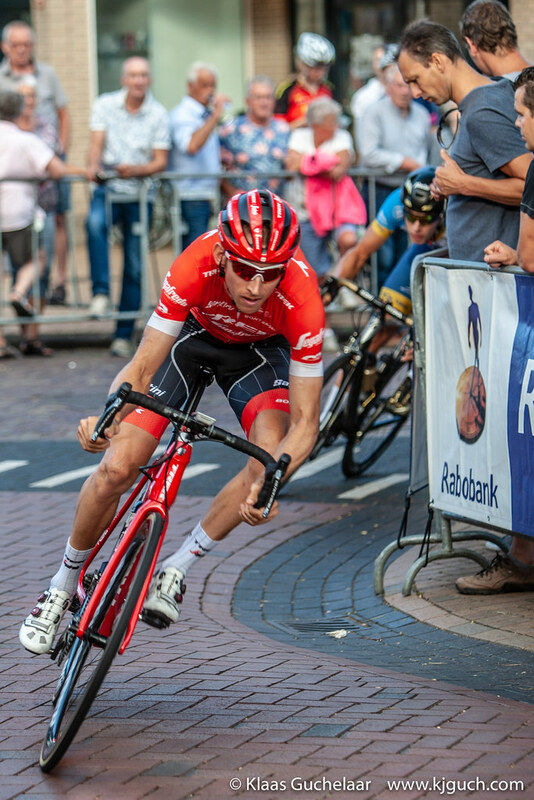 The peloton that came behind moments later was led around it and soon three men were already back on the bike, but Laurens ten Dam and Ramon Sinkeldam (of Sunweb and Groupama-FDJ) were not so lucky and could not continue the race. 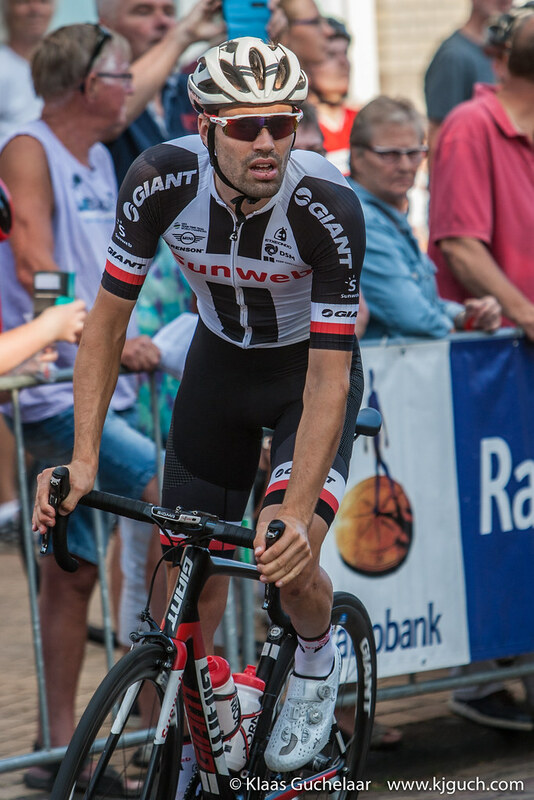 Tom Dumoulin came in to check on the men (Laurens is his teammate) and then got back on the bike as the race had been temporarily stopped. 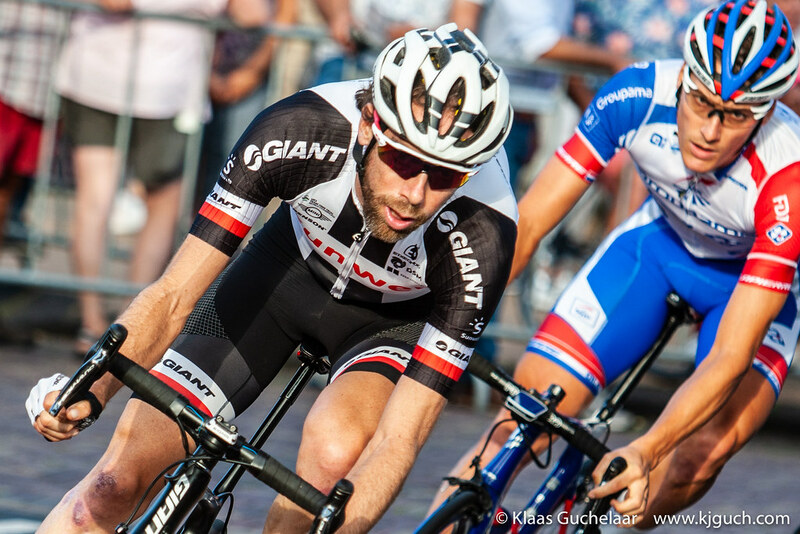 As it later turned out Laurens has broken his collarbone, a really sad end to what should have been a great race for him, especially as that means he’ll also miss ‘Clasica San Sebastian’ next weekend. 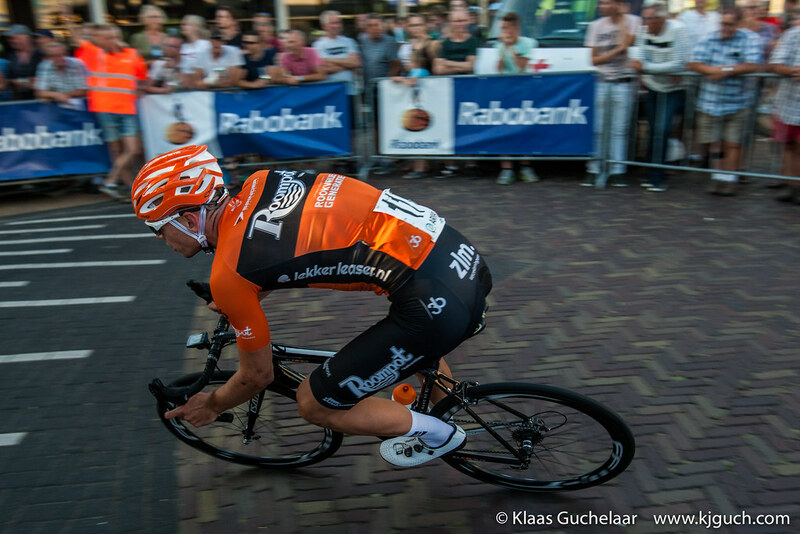 Sinkeldam ‘only’ broke the handlebar of his bike in the fall, but that took him out of the race too. The rest of the group restarted the race and after a careful start gradually picked up the pace again. There was a 3-lap-sprint to be raced that was about to start then the accident happened, that got delayed a bit and a while later a super-sprint. These sprints keep the race a bit more interesting as otherwise it’s not much more then sixty laps ‘around the church’. 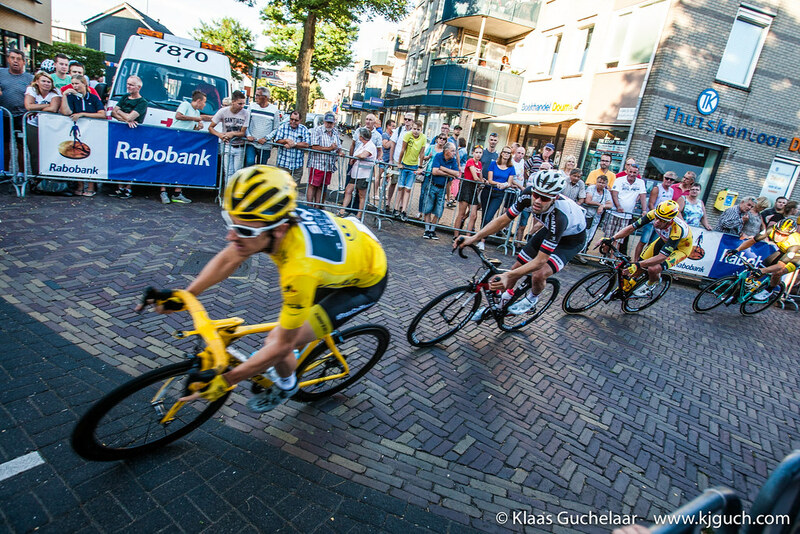 The race was eventually won by Geraint Thomas and Tom Dumoulin came in second. He should be well used of that place now, thinking back of this year’s Giro and Tour de France :) Geraint was very enthusiastic about the race, so here’s homing more international cyclists will follow suit! 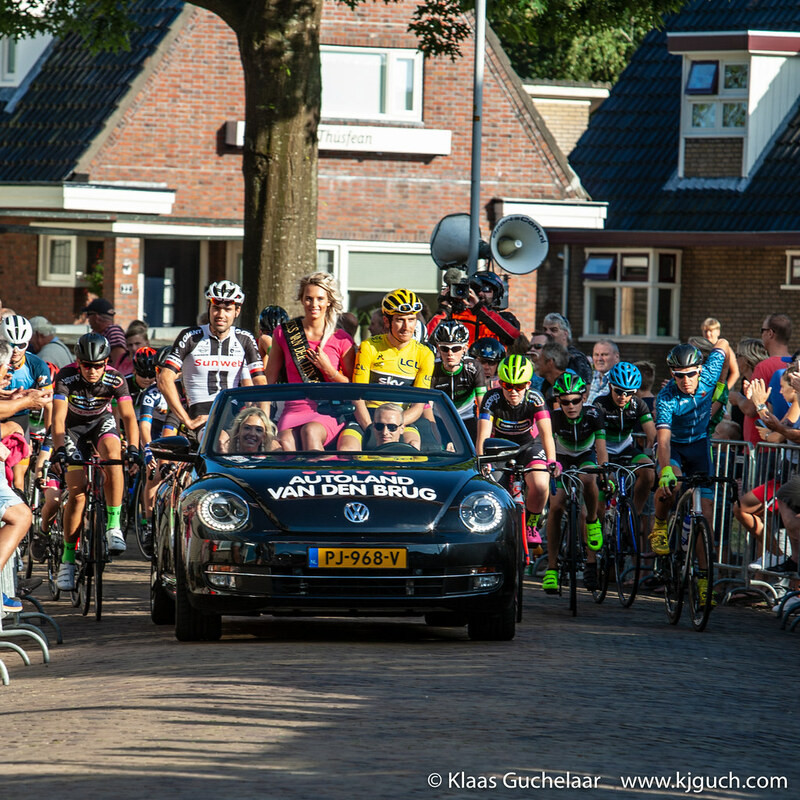 All in all once again a great, great event with many thanks to the organisation Stichting Wielercomité Surhuisterveen and the many volunteers. See you next year I hope (or sooner for the cyclocross)! As always: this is only a small selection of the photos. Click any of the images to see the full set of photos, or click here.